« The Exclusive Excerpt Tour Begins! What price will destiny demand? Warding the Crossing has always been Cayden Sinclair’s destiny. With her beloved Gran growing weaker, pressure on the little witch to take her place is mounting. Juggling substantial curves for her frame and an inconvenient inability to control her power has been proving a serious challenge. But not until discovering her fated Keeper is the extremely hot, tragically clean-cut insomniac who’s ignored her for months, does she truly fear failing her legacy. 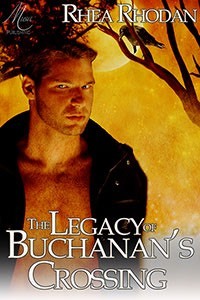 Now that he’s finally on the road to the top with an offer from a big developer, Clint MacAllen can’t allow his struggling construction company to be threatened by a vicious nightmare or his inexplicable attraction to a goth clerk working the graveyard shift at HandiMart—no matter how potent they are.